Morgan Cameron Ross’ poignant “Please Don’t Let Me Down” is an honest, vulnerable heart-on-sleeve plea for acceptance and understanding from a loved one. I don’t claim to know the etymology of English lingo, but I’d like to believe we say we’re “falling for” someone because of how hard love can hurt. We are at our most vulnerable when we open up to someone else; we say we’re surrendering our full selves, using wartime terminology to express how susceptible we are to pain and woe. Love means asking someone to accept you for who you are, and that’s really difficult when we live in societies that often outcast the other category, labeling folks as “underground” and “alternative” because they choose to express themselves in “different,” “unconventional” ways. 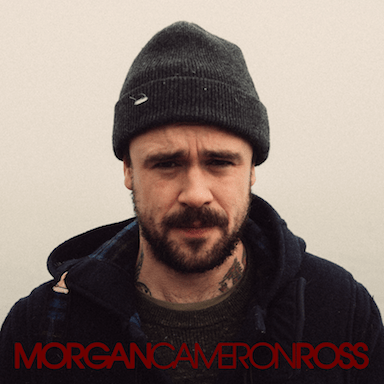 Canadian artist Morgan Cameron Ross knows this pain all too well: His poignant new single “Please Don’t Let Me Down” is the singer/songwriter’s honest, vulnerable heart-on-sleeve plea for acceptance and understanding from a loved one. It’s transparent and direct, echoing the sincerity it asks for in return. You say it’s set in stone. And it will never break. It’s like a hammer and chisel. 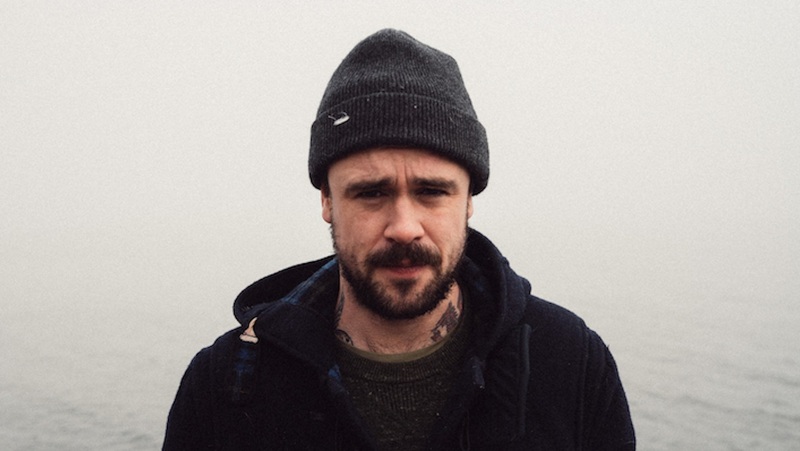 All you ever have left..
Atwood Magazine is proud to be premiering “Please Don’t Let Me Down,” the sobering new single from Canadian singer/songwriter Morgan Cameron Ross. In addition to being Bob Ross’ cousin (just imagine this guy with a nice, brushy beard and big head o’ hair), the Vancouver-born, Toronto-based musician is accomplished on many fronts: In addition to earning numerous recognitions through songwriting for and with other artists, Ross has fronted such well-received acts as now-defunct band Birds of Wales and his current project, Bellwoods – a duo with Alan Snoddy. And then there’s Morgan Cameron Ross, the solo musician – and if there’s anything I’ve learned about a solo project, it’s that many artsts save their favorite songs – the ones that mean the most – for the solo endeavor. That certainly comes across in “Please Don’t Let Me Down,” a slow folksy track akin to the warm, airy singer/songwriter sounds of Matt Pond PA (who themselves just disbanded after as Pond explores new frontiers). Ross sings directly into the camera, walking alone through a snowy trail. Surrounding him are fir trees adorned with beautiful lights, resulting in a bittersweet scene: The warm warm, brightly lit scenery contrasts with Ross’ overwhelmed sense of uncertainty and deep desire for security. Hiding from the light of day. They always go this way. To get out of this here town. So please don’t let me down. “Loosely the song is based around my life,” muses Morgan Cameron Ross. “Self sabotage and confusion. The fact that when things seem to be going well, I always find a way to fix that. The metaphor is fairly straightforward – a house that has its foundation crumbling, a body with memories but not much else. ‘Heading to the darkness, hiding from the light of day’… based largely on the fact that when I’m feeling down, I hide. Hiding from people, from the daylight. ‘Looking for a reason to get outta this here town..’ largely based on the fact I always take off when things are going too well. For better or worse.” This really is a song straight from the heart. There’s a time and place for celebrating love, but anyone who puts themselves so far out there knows the risks involved. “You say it’s set in stone. And it will never break,” Ross sings in his incredibly clever opening line. “It’s like a hammer and chisel. Always chips away.” People change, as do relationships. It’s understandable to fear losing someone you hold so dear – and that’s ultimately what “Please Don’t Let Me Down” is all about: Confessing your deepest insecurities to the person who can tear you down, but also build you up. We’re all thinking it; Ross is bold enough to sing it.